Spotting the words “gluten free” while scanning the menu outside of an unfamiliar restaurant is a triumphant moment for any celiac. I had one of these moments last weekend after waiting way too long for a table at Radish. Starved, a couple of friends and I wandered down Valencia Street and discovered that Grub offers gluten free noodles with their mac and cheese. Tucked away in the mission on Valencia in between 18th and 19th this happening little spot is plenty knowledgable about the meaning of gluten, and their friendly wait staff will prove it. 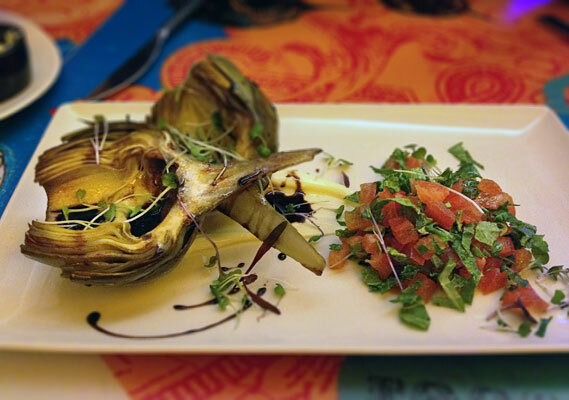 Menu highlights include their seared artichoke glazed with balsamic, and served with lemon aioli. The waiter confirmed this dish could easily be made gluten free (omit the bread crumbs). 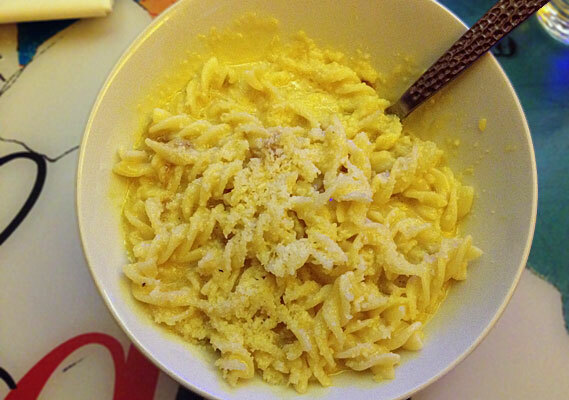 The gluten free creamy mac n’ cheese was also a winner. As if a big bowl of creamy, cheesy noodles isn’t appetizing enough, Grub offers over a dozen “throw-ins” like shaved fennel, caramelized onions, brocoli, and truffle oil for $1 extra each. You could also go for a real cholesterol booster with lobster on top for an extra $3. If you’re wondering how seriously they take gluten free diners, I was told by the waiter that yes, indeed everything is kept separate. Just make sure to specify that you want gluten free noodles and no breadcrumbs when you order. I am the Celiac columnist for healthline.com (my blog is called “Oh,Crumbs!”) and I would love to do an interview and ask you about gluten free living in San Francisco, I don’t focus on restaurants as much and instead talk about life as a Celiac. I think it would be fun to send healthline readers your way as a good resource for eating out. P.S. I am trying “Grub” out tonight, fingers crossed it is as yummy as you say.